Coinciding with World AIDS Day on 1st of December 218, I commissioned HIV positive artist Joseph Cotgrave to create a poster campaign around HIV to raise awareness as part of my role as Community Engagement Coordinator at Catalyst Science and Discovery Centre. ​Science has enabled incredible advancements in the treatment of HIV which has transformed people’s lives, but much stigma remains. Joe wanted to “create a poster that was fact-driven, and not about generating fear or judging people’s lifestyles like many of the more historic HIV and AIDS campaigns. 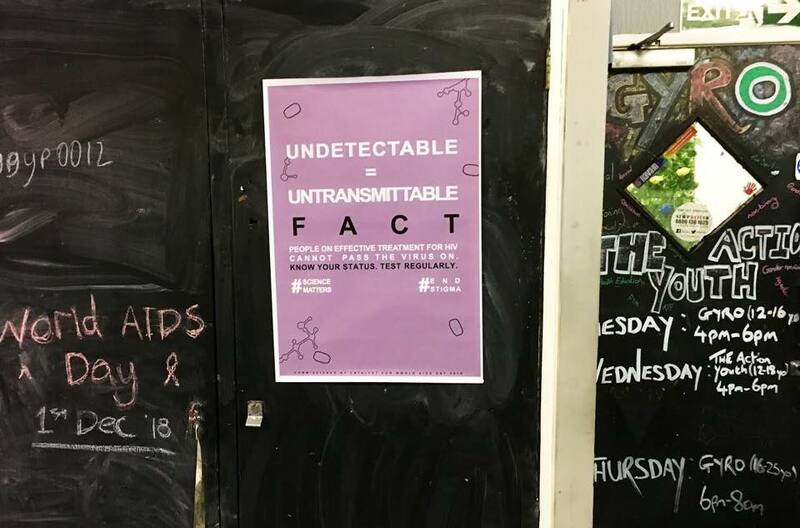 The poster’s pink background is the same colour as my own HIV medication. The illustrations depict the HIV virus, and crucially, its key message is about knowing the facts"